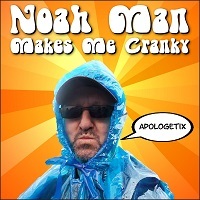 Released in late March, our sixth single of 2019 spoofs two artists who had #1 albums in the 1970's. Ironically, neither one's biggest-selling album (and that's where these songs came from) hit #1, even though each sold over three times as many units as the chart-toppers. 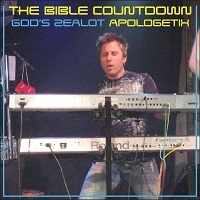 Atheists openly mock God these days. Among the human beings, in their designer genes, they look at life with such disregard for every man who disagrees. They don't hold out much hope for the Bible; they want to pack it up and tear it down and say it isn't true. Yet they stay loyal to their own experts, despite their ever-changing assessments. As Easter approaches, you won't see a passion play without Judas' betrayal or Peter's denial. Ever find yourself wondering aloud why God let epic fails like that wind up in the Bible? This was for our benefit. They show it's the truth, not a Mother Goose fairy tale. And they demonstrate HIs grace through the one infallible teacher, His Son. 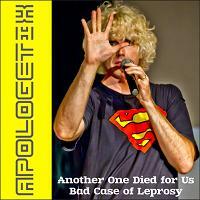 The downloads are free with your donation of any size to the ministry of ApologetiX. 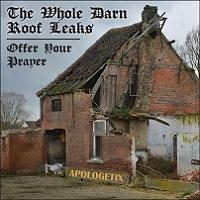 Once you make a donation, we'll email you the link for the MP3 files and cover art. Donations are not tax-deductible but help keep this ministry going. Click "Return to Merchant" link after checking out at PayPal to automatically return to the download page. We'll also send a follow-up email with the link. 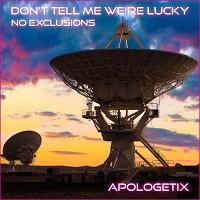 Released in mid-March, our fifth single of 2019 spoofs two big hits from the mid-70's by two big hitters of that era. Released in late-February, our fourth single of 2019 features two American groups whose lead singers were both born in Washington State. Their birthdates were 16 years apart, but their musical styles were light years apart. Thinking of your financial future? In Heaven, everything will be free. Even here on earth, money can't buy peace of mind. Whether you're strugglin' till the ends meet or your bank account's growin', don't keep it sittin' in a vault. If we're saving our money for only ourselves, we're wasting our time, and you never can tell when your time will be up. Released in mid-February, our third single of 2019 is a double-shot of classic rock from 1977. Ephesians 6:12 helps us draw the line between human conflict and the ultimate sources behind it. When push comes to shove, we're not fighting flesh and blood but powerful fallen angels from the other side. Love the dude, hate the demons. What it takes to fight 'em is the amazing armor of God. Get a grip on that and you'll be fine. When ancient Christian men and women neared the Colosseum and heard the roar of the crowd, it reminded them of the cost of serving Christ. But their reaction to actions taken against them won many souls. That was yesterday, yet we still find ourselves at war with the world in the modern day. Are you worried what your friends see? 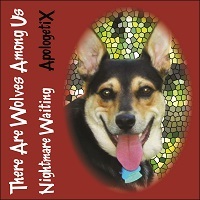 Released in early-February, our second single of 2019 spoofs two bands with x's in their name like us -- one from the 70's and one from the 80's. "The stone the builders rejected has become the cornerstone." David wrote that 1000 years before a man in the wilderness named John began preparing the way for a man of miracles named Jesus. In today's culture of "I'm OK, you're OK," everything is cool but Jesus. It's high time they learned they're missing the best thing life has to offer. This world is fading like a flower, but the Word of the Lord endures forever. Some try to paint it in a bad light as a dangerous book, and they tell lies about it. Chances are you've heard them, but if you read it with an open mind and listen to your heart, you'll know beyond a shadow of a doubt it's the truth, and things will never be the same. Released in mid-January, our first single of 2019 spoofs two British bands who each had multiple members achieve considerable success after they broke up. Released in late-December, our 23rd single of 2018 features parodies of two songs from the mid-70's done by rock quintets formed in England, although each often featured American members. 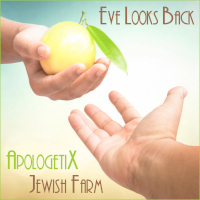 Eve may not have been a sentimental lady, but she could never forget Eden, though she was never going back again. Then the tragedy with Cain and Abel. What was the world turning into? But like Abraham's wife, Sarah, she could cling to a promise made about a beautiful child she'd bear, even if specifics weren't crystal clear at the time. Jesus told stories the average person could relate to. Each had an underlying message, but only some would get it. Like this one about a sower in the heart of the country with crops coming up like flowers in the dirt. Elsewhere we learn there's a big barn ready to hold the harvest and reapers who'll take it away on another day yet to be revealed. As we celebrate Christ's first advent, it's important to remember He'll eventually come back down to earth for a big finale, even though it seems so long since last time. It won't be as a baby, and if you really love Him you won't need another star to ascertain His whereabouts. Don't you worry about a thing; you will know. He'll make sure you're sure. 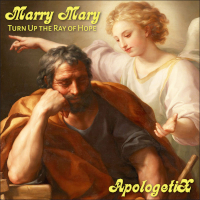 Joseph's wife, Mary, was a small-town girl, but her son was no natural child. In the midst of an incredible state of affairs, an angel told Joseph to rise up and take the old road down to Egypt, where they could all have a good life in hiding. Herod was bound to fall eventually, and once he did, they could make like a boomerang and return. Released in early-December, our 21st single of 2018 features two bands out of Los Angeles County, California, although they don't have much common ground aside from that. 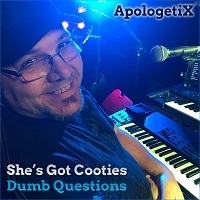 Released in mid-November, our 20th single of 2018 spoofs Top 10 hits from the late 70's and early 80's. Released in early November our 19th single of 2018 is brought to you by the letter L -- 70's style and 90's style. Aaron's first 80 years were nothing fancy, with not many things going on, so he was free as a bird when God called. He wasn't on the hunt for a new job or searching for fame, but he'd soon be the envy of every mother's son in Israel -- the first, not the last, of a dying breed of high priests. But therein lay the problem. Released in mid-October, our 18th single of 2018 spoofs two bands with only five Top 40 hits between them, but all five went into the Top 10. 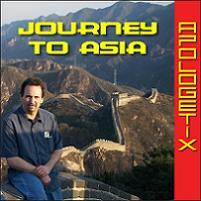 Acts 9 -- Paul's faith odyssey may begin here, but Peter wasn't finished speaking the oracles of God. In the same chapter, he resurrected a woman named Tabitha (a.k.a. Dorcas). She seemed just out of reach, beyond the borderline of Heaven's gate, but she was the kind of girl the whole church loved, so how could Peter tell her no? Isaiah predicted many details of Christ's life, 700 years ahead of time, but the train kept a-rollin' till they were fulfilled. Prophets often looked far west of tomorrow when they said things were gonna change sometime in the future. 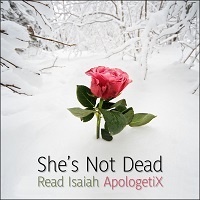 Skeptics go round and round to make Isaiah their boogie man, but don't call us crazy if we take him at his word. Released in early October, our 17th single of 2018 spoofs two bands that formed in the late 1960s but had to wait till the 1980s before they finally got number-one hits. Released in late September, our 16th single of 2018 spoofs two bands that only go by initials, and both are abbreviations for scientific terms. Young Saul of Tarsus had a heart and head as hard as a rock, and he had a hard life after Christ transformed him into the Apostle Paul. It ain't no fun facing the danger and rough stuff he endured, but Paul kept a stiff upper lip, taking everything in his stride like there was nothing he'd rather do. He was one of a kind but wanted no applause. Before you murmur against others for doing things you can't stand that drive you crazy time after time, consider this: What's the frequency of your own sin? We'll all face a day of reckoning at the end of the world as we know it. You may not feel like a monster, but we all stumble in many ways and need to repent before we run out of time. Released in early September, our 15th single of 2018 spoofs a pair of chart-toppin', hard-rockin' hits from the early 70's. It's not like Peter had no time to prepare; Jesus gave him fair warning. He remembered laughing to himself at the notion he wouldn't stand tall when they came for Jesus. But he wasn't a one-man army. Now he was shaking all over, posing as a proper stranger. His promises were broken, his faith was undone, and he wanted to lie down and die. Yeah, that's fine if you bring any other book to school, but you know better than to get caught with a Bible by your side. At best, the school punks will treat you like a Martian. At worst, you'll be wanted dead or alive by the authorities. Or maybe you'll be the one that got away with it. But God's Word is the truth, take it (to school) or leave it (at home). Released in late August, our 14th single of 2018 spoofs Top 10 hits from the 80's by a pair of American rock bands that originated in the Northeast (although one of those bands had to move to L.A. before it finally found fame). In spiritual warfare, there are many battles. You win some and lose some. Even if you feel you've won less than half, ultimate victory was assured when you came to Christ and said goodbye to your old life. Give it time and call to Heaven for help. It may feel like the enemy has your hands tied, but you march to the beat of a heart filled with Christ. Satan likes to play dirty. He'll tell you it's bad to be good, but once you're in the valley of lost souls, he'll crack a smile and blame it on you. He hates life, loves a tragedy, and can't stand believers. He's a fallen angel himself, after all. Only God can supply the good love you need to start tearing down the walls and lose that ball and chain. Released in early August, our 13th single of 2018 spoofs a pair of Top 10 hits from July 1983 by long-established rock bands not known for having much crossover success on the pop charts. "I'm just a mess," she thought. "There's no way out; I don't want to wait anymore." She touched Christ's cloak and was instantly cured. He could feel it, but instead of saying, "Don't touch me," there was compassion in His eyes when He turned around and saw her standing there. His love's a mystery that can heal us outside and inside. Jesus was a well-respected man with dedicated followers, but the religious elite didn't fancy this wonderboy and his band of misfits making permanent waves wherever they went. So they tested Him with questions all day and all of the night. Unable to defeat Him by debating face to face, they went behind his back to get revenge. Released in mid-July, our 12th single of 2018 has an English accent, because both bands we borrowed from are British. Matthew's genealogy of Jesus starts with Abraham, then lists subsequent generations from father to son, but also includes some women guaranteed to blow your mind because of scandal, innuendo, big disgraces and bad mistakes. Yet they're all part of one vision made in Heaven that some day one day would lead to the Miracle in the manger. They knock on doors all around the world, saying you can live forever in paradise on earth. 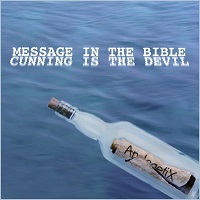 Some might say they're led astray, but they don't look back in anger at failed prophecies. They just roll with it and soldier on as memories fade away and the master plan changes little by little. What's the story? Where did it all go wrong? They think it's getting better. Released in early July, our 11th single of 2018 revisits two songs we originally spoofed back in the 1990's – one with all-new lyrics and an all-new title (but the same theme) and another with the same lyrics and a totally different musical approach. Heaven's a place where everything is as fresh as the bright blue sky, but some would rather live right next door to Hell. Thankfully, God has extraordinary patience and still offers the chance to move to the city described in Revelation 21-22. We hope you'll take it eventually. Start knocking on Heaven's door now; don't wait till you're dust and bones. After Jesus ascended like some high-flying bird, His disciples stood gazing at the now-empty sky, but they'd soon make the greatest discovery; two angels told them Jesus would come down in time. Sixty years on, when John wrote Revelation, the clock was still ticking. But the One who brought salvation will return, and blessed are those who believe. 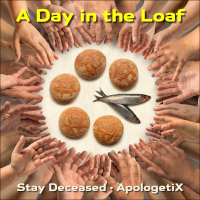 Released in mid-June, our 10th single of 2018 looks at resurrection in the Old and New Testament, with spoofs of #1 hits from the 70's and 80's. Jesus is gone, but the legend lives on; that's what skeptics would have you believe. Was He an ordinary man who left His small circle of followers high and dry, picking up the pieces of a sweet shattered dream? Too many clues in this room suggest otherwise. Take it or leave it or try to believe it, but it's worth believing and not too late for praying. We don't see many Old Testament resurrections except for a scattering of incidents in 1 and 2 Kings. Here's one for the medical books: a live broadcast from a previously dead boy in 2 Kings 4. He'd been alive before but had already gone to his apparent death. Then Elisha told him to get up and get over it, and he came back like a boomerang. Released in early May, our ninth single of 2018 spoofs bands from London and the Land of Lincoln. The world wants to live it up; they don't want to know what the Bible says. If you keep pushing, they won't keep on loving you. They might just throw you through the window if you don't drop it. But that ain't love. Pray for opportunities to share the Gospel, and when you get what you pray for, don't be afraid to stand up and say something. Jesus was in a world of pain on the way to Golgotha. Those were the days when Romans ruled, so they forced Simon of Cyrene to carry the cross. As he gingerly picked it up, perhaps he thought, "What a bringdown! There are better ways of passing the time." But he wound up exemplifying Christ's words in Mark 8:34. Feel free to read it yourself. Released in mid-April, our eighth single of 2018 could be summed up as "good wives, bad wives, 70's style." Solomon was caught in a dream that warped into a nightmare. Beautiful babes, billion-dollar budget, and freedom to do what he wanted didn't make happiness a gimme. If you look at it from the inside, all those wives and concubines were only women of mass distraction; he reaped a field of regret reflected upon in the book of Ecclesiastes. God made many beautiful girls, but when push comes to shove, looks are not enough. Proverbs 6:23-7:27 gives fair warning about girls gone bad; Proverbs 31:10-31 balances that with the secrets of the godly woman. Worldly women fall out of love again, but a godly wife can't stop loving you, because she committed to Him before committing to you. 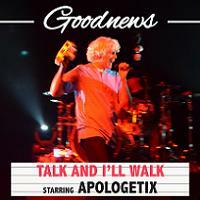 Released in early April, our seventh single of 2018 spoofs big hits by two famous English-American bands. They come from two different worlds, but Christians and Jews have one thing in common that we both share: belief in Messiah. The four Gospels make a compelling case for Jesus fulfilling Jewish prophecy, but bringing it up can generate unusual heat; no time ever seems right. Do what you like, but God still loves the lonely children of Israel. After Jesus calmed the storm on the Sea of Galilee, the disciples found a cool, dry place to land. But they were not alone anymore; two wild men met them, and not to offer congratulations. The devil had been busy destroying their lives, but Jesus wasn't rattled by the frantic demons. He knew it was the end of the line for them, and so did they. Released in early March, our sixth single of 2018 spoofs the signature songs of two bands we've never parodied before. Both bands could boast of bassists who doubled as their lead singers. You may be fastidious about religion, but Isaiah 64:6 says our righteous deeds are like filthy rags. Sadly, many seem deaf forever to those words, hammered hard by iron-fisted religious rulers who lead them like lemmings, telling them to get back in line and march or die. Jesus offers rest for the restless, but the graceless get no sleep at all. David's the star of First Samuel, but chapter 25 zeroes in on a relatively anonymous guy named Nabal. Only a few remember him, and it is because he was a perpetual drag who preferred gluttony to charity, which he considered a real waste of food. He was married to a beautiful girl named Abigail, who later became David's wife. Released in late-February, our fifth single of 2018 spoofs two bands from different sides of the pond figuratively and literally - Glasgow and Garden Grove. Jeremiah is a long book, so you may not remember all the things he said, but once upon a time, in verse 31:34, He promised you a miracle: God will forget our sins! You don't have to sanctify yourself; Christ will do it. That's good news from the next world, but you can claim this glittering prize while you're still alive and kicking (Heb. 8:12, 10:17). Moses was pretty spry for a white-haired guy, but the Israelites' bad habit of complaining surely made him feel so alone and weary. We defy you to find someone in ministry who hasn't hit that point sometime. But if you're called to ministry, you're not the one responsible for what happened to you, and the One who is will refresh you as days go by. Released in mid-February, our fourth single of 2018 spoofs two British bad-boy bands who pushed the envelope of acceptability in the mid-60s and mid-70s. Released in late-January, our third single of 2018 spoofs two British trendsetters who shaped the 60's, the 70's, and beyond. Released in mid-January, our second single of 2018 spoofs two angst-ridden acts (one from the 80's and one from the 90's) who each notched number-one albums. Some advice for the young at heart: The good old days aren't always in the past. Listen, Moses was 80, living a humdrum and humble life, but a big change came the day he saw the burning bush, sowing the seeds of Leviticus, Numbers, and Deuteronomy, not to mention the rest of Exodus. Everybody loves a happy ending, especially God. Christians aren't perfect, just forgiven, but Hell is too hot a topic for "the real world." You learn fast that talking about it gets you uninvited to most parties. Don't expect a thank you. They may not feel your love, might walk away, look right through you, or stand with their hands in their pockets, but the only way out is Jesus. And now is the time. Released in early January, our first single of 2018 spoofs a pair of power quartets -- a 70's British band and their 90's American acolytes. Atheists ramble on about a God they say doesn't exist, swearing and tearing into those who try to keep His Word from being trampled underfoot. But whether 14:1 or 53:1, the Psalm remains the same: The fool says in his heart, "There is no God." To bring it all home, your time is gonna come. If you don't believe now, you will in your time of dying. Other lives seem wonderful when you creep on social media, but those plush pix could be transmissions from a lonely room in a big empty house with no way out. Why is the grass always greener on the other side? At the core, C.S. Lewis said, "The fact that our heart yearns for something Earth can't supply is proof that Heaven must be our home." Released in mid-December, our 22nd single of 2017 features two new parodies recorded live at our 25th-Anniversary Concert in August 2017. The Word of God is pure and easy to understand, but it's not enough for some "Christians," who bargain over what parts should be discarded and what fragments should be kept. They are all in love with the idea of faith in something bigger, but their God gets smaller as their Bible gets smaller. Either it's all true, or it's not true. Accept no substitute. Released in late November, our 21st single of 2017 features parodies of American-made hits from the mid-70's and mid-90's. Here's Ananias looking back on Acts 9, when the Lord told him to go pray for a stranger in town named Saul. His heart sank like a rock; he feared Saul was still the same guy persecuting Christians in Acts 8. When you turn the page, the distance between 8 and 9 may feel like a number far greater than one. But One was far greater than Saul. Is Earth headed for a 21st century breakdown? After waiting so long for Christ's return, enduring countless failed predictions (by men, not God), many get jaded or suffer burnout. The Bible takes the long view but gives warning signs so we'll know when it's time in the end. Others will know either when they come around or when He comes around. Released in early November, our 20th single of 2017 features parodies of two bands from the British Invasion. 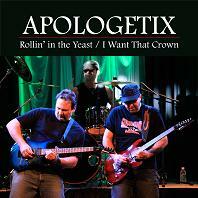 Although one of the songs we spoofed was a hit in the 60's, the other didn't come out till the 80's. Both parodies were recorded in October 2017. 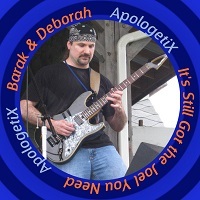 The first was recorded in the studio by ApologetiX, while the second was recorded live by J. and Jimmy from ApologetiX with the New Community Church worship team. It's a predictable predicament, a classic bait and switch. At first, spirit guides give the people what they want, but promises of better things turn into definite maybes, then a state of confusion, and finally misery. You thought you were getting cheerful spirits, but you really got mean demons. Sadly, some people have to learn the hard way. As the old song says, Jesus died for all the children of the world. That means every bad boy and girl, too, for no one is righteous. The Word says He forgave the Samaritan woman, the taxman, and the woman caught in adultery, in spite of all the danger to His public image. Why would you think it's all too much for Him to save (insert name here)? 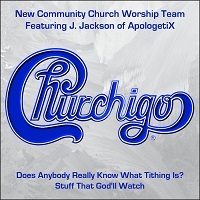 Released in late October, our 19th single of 2017 is the latest installment in our Churchigo series. 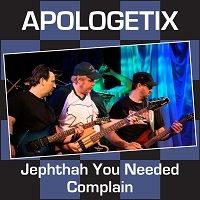 ApologetiX lead singer and lyricist J. Jackson is also a worship leader at New Community Church in Wexford PA, the same place where we played our 20th and 25th anniversary shows. 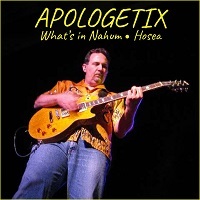 NCC has a great worship team with many talented vocalists and instrumentalists, many of whom have appeared on ApologetiX recordings. 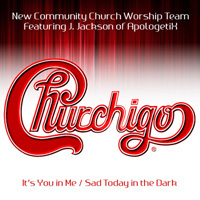 We've released songs before that J. has performed with the team in concert on our Churchigo II, Transformed Soul, and Churchigo III projects. On October 8, 2017, the worship team performed a special concert with the choir and an 11-piece band, including a full brass section. J. sang lead on two new parodies of songs by Chicago and Blood, Sweat & Tears that he wrote specifically for the event. 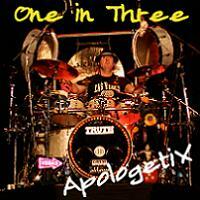 ApX drummer Jimmy "Vegas" Tanner also played on the songs. 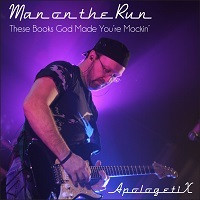 This time around, ApX guitarist Wayne Bartley was able to remix the live recordings of the performances to maximize the audio quality, and we're making them available as downloads, which are free with your donation of any size to the ministry of ApologetiX. 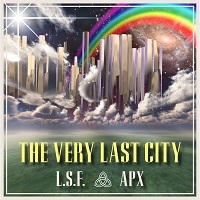 Once you make a donation, we'll email you the link for the MP3 files and cover art. Donations are not tax-deductible but help keep this ministry going. Ah, that moment when you go from knowing there's something going on (sin in your life) to realizing there's something coming on (a desire to repent)! As John the Baptist could tell you, redemption requires repentance, but God is Father to the man who's saved by the grace of His love, and God blesses the child who's called His own. Listen, if it all started with Romans 10:9, where do we go from here? You want the lowdown? It's a happy man who realizes that our first movement toward God was actually the second movement overall, since the One who said "Call on Me" called us first (John 6:44) and Christ is the Lamb slain from the foundation of the world. (Rev. 13:8). Released in early October, our 18th single of 2017 spoofs two American bands who first found fame in the 70's. Some folks downplay a talent or ability when they should display it. "It's all I can do," they say. "That's it. I'm not the one God should use." But let's go to Romans 12 and 1 Corinthians 12 and take another look. If you think it over, you can't hold on too long to the notion that your God-given gift isn't good enough to serve God. Let's pretend you're a Galilean nobody knows, 2000 years ago, waiting for Messiah. Suddenly, a teacher with fresh ideas and healing power pops into your life, making it easy to understand the Scriptures. You might as well follow Him, right? Then, after becoming an overnight sensation, He says He's leaving. You don't want to say goodbye. Now what? Released in mid-September, our 17th single of 2017 spoofs two straightforward rock hits from the 70's and the 80's. We'll tell you straight up: there's no magic Christian formula for living a sinless life. That doesn't mean we shouldn't give it a try, but we won't reach perfection till it's over. In the meantime, seek God's guidance and forgiveness day after day, hold on to 1 Corinthians 1:8 and Philippians 1:6, and carry on till tomorrow. Better days await. The Bible was given to us freely by God, and it'll give you a reason to live and show you how to live forever, but you have to take it off the shelf. The Word of God is alive, written not for the innocent only but for saint and sinner alike, and if you read it, it'll come back to you later like a boomerang. Get all you can take before they take it away from us. Released in late August, our 16th single of 2017 is a sequel to two projects we released in 2013. 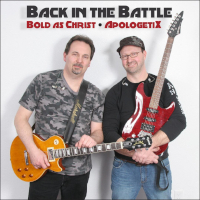 The church has a great worship team with many talented vocalists and instrumentalists, many of whom have appeared on ApologetiX recordings. 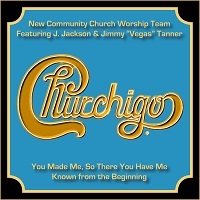 We.ve released singles before which featured songs J. has performed with the team in concert on our Churchigo II and Transformed Soul singles. On September 20, 2015, the worship team performed a special concert with the choir and a 10-piece band, including a full brass section. 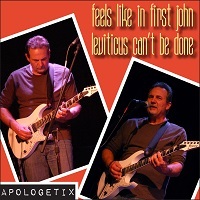 J. sang lead on two new parodies of songs by Chicago and Joe Bonamassa that he wrote specifically for the event. 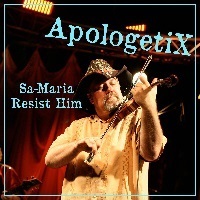 We're finally making the live recordings of those performances available as downloads, which are free with your donation of any size to the ministry of ApologetiX. 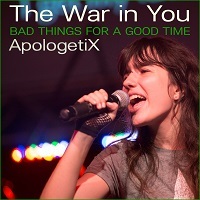 Once you make a donation, we'll email you the link for the MP3 files and cover art. Donations are not tax-deductible but help keep this ministry going. If you click "Return to Merchant" link after checking out at paypal, you will automatically come back to the download page (no need to wait for the email)! Released in late-July, our 15th single of 2017 spoofs two hard-rocking classics that were both released in 1975. Released in mid-July, our 14th single of 2017 spoofs two California bands who were at the peak of their popularity in the first half of the 80's. The prodigal told his father, "I'll be alright without you." He thought his departure was an escape, only the young man couldn't look into the future to see the trial by fire that would happen next. But his father took him back with open arms after the fall. God treats us just the same way anytime we repent. Why keep on running till the party's over? Clandestine people claiming to have a faith in God say it ain't none of your business whether they have a noticeable one. 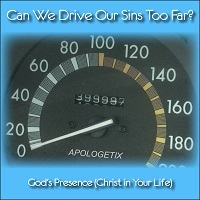 Our final destination's unknown to all but Him and us right now, but our actions/reactions are windows into our souls. Works don't save us, but they do identify us. State your faith in black and white, but deeds put color in your life. Released in early July, our 13th single of 2017 spoofs two male solo artists who scored their biggest hits in the mid-to-late '80's. Some people can do what they like, but Jesus calls us to love one another, our neighbors, our enemies, every kind of people! How can we still be friends with God and not love those created in His image? God offers forgiveness, but you can have it only if you forgive others. That's true love. Get it through your heart; it'll help your blood pressure drop. Growing up as a Pharisee, Saul of Tarsus felt tougher than the rest. He had high hopes for eradicating Christianity entirely, waging war against the Church like a human wrecking ball. Then one day his vision suddenly stopped working on the highway to Tarsus as he was blinded by the light of Christ himself, who gave him reason to believe. Released in mid-June, our 12th single of 2017 spoofs two alternative-rock bands who first hit it big in the 80's. A parody about Jacob's daughter Dinah? Are you serious? If you've read Genesis 34, you know the rest. There's nothing sugarcoated about the story; it was real bad news for everyone involved. This song looks at it from the other end of the telescope, coming up close for Dinah's own perspective. It seems like everybody's heard the truth, but only some actually see it. The truth will set you free, but you can't get there from hearsay unless God chooses to reveal it to your heart. Once He opens your eyes, you can't unsee it. You don't need x-ray vision like Superman; it's automatic for the people who've been around the Son. 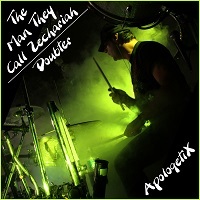 Released in early June, our 11th single of 2017 spoofs two American bands and their first Top Five singles (one in '86 and one in '96), both with the word "name" in their titles. Hey, God never said life will be a bed of roses, even if you're not living in sin. We hope you have a nice day every day but, if not, don't let it rock you. Tribulations bring about perseverance, character, and hope (Romans 5:3-5) and eternal glory (2 Cor. 4:17). Raise your hands in prayer and always keep the faith. You'll bounce back. The widow thought her better days were behind her. She'd had only one son, and now he was dead, with no one left to carry on the family name. Her life was empty, and she was just waiting for the rest of it to be over. But by the end of her encounter with Jesus that fateful day, she'd never felt so alive. And neither had her son. Released in late May, our tenth single of 2017 revisits two hard-rockin' bands that first hit it big in the 1980's and are still touring today. 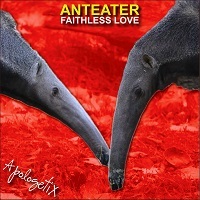 Released in early May, our ninth single of 2017 features two songs discussing the origin and uniqueness of life on Earth. Skeptics insist that Christians are wrong to claim mankind is unique. And when you close your eyes to the evidence, you might think Earth isn't anything special, either. E.T. brought out a sentimental streak in all of us, but our interstellar love affair with aliens is based on sci-fi, not fact. Bible-believers know the secret of life's success on this planet. The biggest lesson learned from evolution is that the theory keeps evolving. It's had more facelifts than any aging actress. What you believe is your decision, but if you don't follow along, they'll portray you (and all who get born again) as some sap who believes the devil put dinosaurs here. We don't deny dinosaurs, but is there any proof for abiogenesis? Released in late April, our eighth single of 2017 spoofs two bands that epitomized the 80's. Any Christian who's being realistic right now knows he'd never be good enough in God's eyes without Christ inside, but he'll never be good enough in man's eyes with Christ inside. 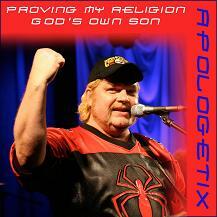 You can't run around with a John 3:16 shirt on and expect non-Christians to get up and applaud. If you're looking for approval, you'll have to wait till judgment day. The road from Jerusalem to Jericho was notoriously dangerous. You could start off in the prime of your life and still be DOA when it was over. Travelers had to watch out every minute for bandits ready to jump them. This is the story of one of the lucky ones who survived such an attack, thanks to a good Samaritan, something once considered an oxymoron. Released in early April, our seventh single of 2017 spoofs two artists who launched in the 70's and rocketed to superstardom in the 80's. Some folks go to bed long after dark yet still spend their days in a spiritual sleepwalk. Don't you be like that! "Awake, sleeper, and arise from the dead, and Christ will shine on you" (Ephesians 5:14). Are you already up? Then stop dragging your feet and start making some noise. Let's wake up the neighbors! Why are we waiting? They need to know! They call it "New Age" this time around, but it's as old as Eden. A certain serpent's been telling mankind ever since that we could become gods whenever we wanted. Find Genesis 3 and check it out. The only way to regain the peace, love and happiness we lost back then is through Christ. What if He came knocking again tonight? Would you open up? Released in mid-March, our sixth single of 2017 features parodies of hits by two American bands -- one from the 70's and one from the 90's. There's wrestling involved in spiritual life (Eph. 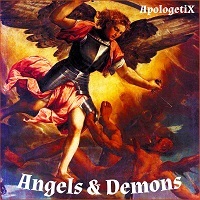 6:12), but Jesus and Satan don't switch roles every now and then like WWE tough guys -- lucky for you! Only the strong survive, and you can't fight this battle without Christ. Satan is a liar and a murderer; Jesus is the Truth and the life. When He knocks (Rev. 3:20), don't let Him go, or you'll take it on the chin. Released in early March, our fifth single of 2017 spoofs two huge hits (by two huge bands) released within six months of each other in the mid-60's. Noah's neighbors may have mocked him, but they were the ones who didn't know enough to come in out of the rain, for no one outside his family asked to join in his venture. Yes, it is possible they asked once the flood started, but you can't do that. In the end, they learned the fool in the hull of that big boat knew something they didn't. Though Joseph had many, many brothers, his family life wasn't all peace and good and brotherhood. He was a ball of fire, but they saw him as a ball and chain. Their dad used Joseph to spy on how his other children behaved, which wouldn't have mattered if they'd had nothing to hide. Before long, they'd be getting together to do something to him. Released in mid-February, our fourth single of 2017 spoofs the hit debut singles of two rock bands formed in New York City  one in the 70's and one in the 90's. Gnostics can range from one to another extreme (self-denial or sensuality) but they all say you will need to know certain inside information to achieve salvation. We've seen it before; it happens all the time. Take a little time to think things over: it's knowing Christ, not knowledge itself, that saves us and enables us to know we have eternal life. Many Galatians believed through Paul's preaching, but later the Church developed a rapidly expanding pocket full of Christianized legalists. Their salvation and Paul's were based on two premises that were diametrically opposed. One little misstep and you're guilty of the whole Law. How could you want that when you know you could have grace? Released in early February, our third single of 2017 spoofs hits by two British groups from the early 70's and 80's. Dathan and Abiram weren't happy with Moses and complained that he got the glory while others did the dirty work. But Numbers 16 would be the last time he or any of their neighbors would hear from them. In the aftermath of the ensuing earthquake, they went down in the hole and literally found themselves between a rock and a hard place. Many of America's oldest universities began as Christian schools, but if you preached the Good News at 10 of 'em now, could you get an "amen" at one? Somehow we doubt it. You can't talk anymore about biblical inerrancy at many seminaries! Those aren't isolated cases. If a divinity school trains students to disavow the divine after orientation, look out! Released in late January, our second single of 2017 spoofs takes us to the mid-90's and early-2000's. Despite gradually losing grip on his throne, King Saul wouldn't let go or concede the election to David, even though God did the electing. As for David, he wasn't about to keep holding on where he was unwanted, so he went mobile, joining the Philistines. To find out what happened next, listen here and read 1 Sam. 27-31, if it's not too much to ask. Luke 17:32 is one of the Bible's shortest verses (three words in most translations - no more, no less). Fittingly, it's about not wasting time looking back at the world you knew, because Christ could come at any time to take you to your next homecoming. That's heavy stuff, and we ought to listen lest we exceed our daily dosage of salt, like Lot's wife. Released in early January, our first single of 2017 spoofs 70's superstars with capital K's. Released in mid-December, our 25th single of 2016 spoofs late-70's power-pop and late-60's jazz-rock. Speak the truth, but don't be cruel. Remember when that was enough? Nowadays, people get all shook up about the slightest slight, and political correctness is the way of the world. Many surrender their freedom of speech rather than have their voices silenced. The media fans the flames, always on the lookout for a new controversy. Ain't that a shame? No matter what you're tempted by, it's all just variations on the same theme. Sin can make you feel very happy for a season (Heb. 11:25), and we all go through our smiling phases sometimes (Rom. 3:23). But the wages of sin is death (Rom. 6:23), and when you die you can't go down gambling on the false notion that good works can save you (Eph. 2:8). 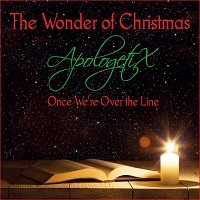 Released in early December, our 24th single of 2016 adds to our Christmas catalog with parodies of a pair of one-hit wonders from the 70's and 80's. Most Christians have relatives who'd rather get run over by a reindeer than come to Christ. Thankfully, God put believing family members in their lives to pray for them. But sometimes it takes someone outside the family to lead them to the Lord (Mark 6:4), as in this song. 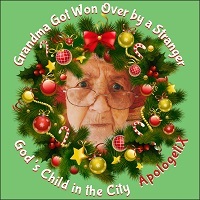 Beware: This grandmama is rough around the edges, not smooth! As the gilded pages of the Bible show, Jesus arrived in the nick of time (Romans 5:6-8). Although we've retold the classic Nativity story a number of times from a number of angles, this song will help remind you where to find it (Luke 2:1-20). Meanwhile, the manger reminds us that Christ is available even to black sheep and stubborn donkeys. Released in mid-November, our 23rd single of 2016 spoofs #1 hits from either end of the 80's. Claudius Lysias -- now who can that be? A Roman commander in the first century. The day he met Paul was anything but business as usual, as it required rescuing the aforementioned Apostle from a murderous mob in Jerusalem (Acts 21). Their riotous reaction to Paul's presence gave new meaning to the word overkill. This fine young canticle laments the tragic death of Judah's last good king, Josiah, and the lousy lives of his sons Jehoahaz, Jehoiakim, and Zedekiah, who each took a terrible turn on the throne as his unsuccessful successors. Immature and evil, we could correctly call them "the raw and the crooked." Released in early-November, our 22nd single of 2016 spoofs 70's funk and 80's country. Released in mid-October, our 21st single of 2016 spoofs two big American bands -- one from the 70's and 80's, another from the 90's and 2000's. Asked how many times we should forgive others, Jesus said "seventy times seven," but how often will God forgive us if we have a besetting sin from the old days that's a hard habit to break? And does anybody really know what time it is? 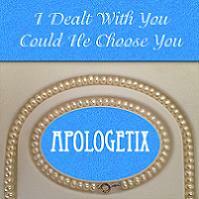 It's hard to say "I'm sorry" over and over and expect God to forgive. But what a big surprise you'll find in Luke 17:4. Want a simple test to see if you're saved? Take a long look at 2 Cor. 13:5. You may never see that verse used as a bullet point in a Bible study, but it tells you if you'll be welcomed into Paradise. Use it as an encouragement or a warning. At the risk of seeming redundant, also read Rev. 3:20, Eph. 3:17, Col. 1:27, John 14:20, Rom. 8:10, and Gal. 2:20. 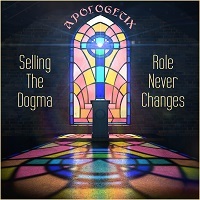 Released in early October, our 20th single of 2016 gives a biblical perspective on two current issues, racism and vegetarianism. Released in early September, our 19th single of 2016 spoofs hard-rocking bands that peaked in the late 70's and 80's. 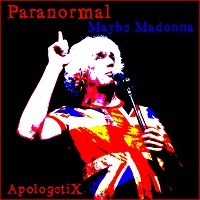 Released in late August, our 18th single of 2016 spoofs a male who started in the 70's and hit it big in the 80's and a female who started in the 80's and hit it big in the 90's. We're all well aware that gossips talk too much, but who do you love to talk about -- is it Jesus or people who fall short of His righteousness? If you don't start thinking before you speak, you could destroy somebody's reputation, even your own. God doesn't like gossip. Proverbs 11:13, 16:28, 18:8, 20:19, and 26:20-22 prove it on over and over again. Doing good is good if it makes you happy to bless God, but not if you're trying to earn salvation. That was the Pharisees' favorite mistake. We're not good/smart/strong enough to get into Heaven on our own. Thankfully, God's love is free, so soak up His Son's gift of grace and leave the last vestiges of legalism. The change would do you good (literally). Released in mid-August, our 17th single of 2016 spoofs a one-two punch from one of rock's hardest hitters. The Old Testament has a whole lot of laws. If you only know the Big 10, you won't believe how many more there are. Their presence has confused some readers and led them to think that's the way to Heaven. But each of us is a lawbreaker. We try to compensate, but doing good works doesn't work well; we need to rest in Christ's finished work. God has a plan for your life. You might ask, "Hey, what can I do to accomplish the deeds God requires?" Jesus answered, "This is the deed God requires -- to believe in the one whom he sent" (John 6:28). God's Son remains the same through good times, bad times, and evermore (Heb. 13:8). Just stay in the light and give Him all of your love. Released in late-July, our 16th single of 2016 spoofs two male singer/songwriters who hit it big in the late-70's and late-80's. When Jesus mentioned "wolves in sheep's clothing," He wasn't alone; Peter, Paul, John, and Jude also warn of such poisonous lookalikes. Searching for a heart they can deceive, they devour the ignorant like sacrificial lambs. They look like model citizens but ain't that pretty at all inside, making Christianity look like a dirty little religion to those outside. During his days in Babylon, Daniel warned self-satisifed King Nebuchadnezzar that pride would be hazardous to his mental health, so he should've known better. Nevertheless, he became a repeat offender and went insane. But after he repented, His kingdom was restored. Why God would have mercy on a proud, pagan ruler, Heaven only knows. Released in mid-July, our 15th single of 2016 spoofs two classic bands in their early days (the late '70's) as they laid the groundwork for 80's rock and pop. We contact God through prayer; He contacts us through His Word. But biblical truth hits everybody differently. You may be driven to tears while the person next to you thinks it's too much information. If the years have caused you to fall out of practice, it's all right for you to admit that you may need to re-familiarize yourself with its contents after all this time. Satan is clever, but he loves to see humans being made into fools. He might use power, money, or a pretty woman as his bait. He'll tell you you're no good if it'll get you to jump off a ledge, but he'll tell you you're good enough if it'll keep you from coming to Christ. Whatever lie it takes - he wants you D.O.A. right now and on fire on judgment day. Released in early July, our 14th single of 2016 spoofs hits from the early 70's and 80's. In Hosea 10:12, God says to "break up your fallow ground." Take another scripture, Jeremiah 4:3, and it all becomes clear; He's talking about our lives, not our fields. We should take Him to heart, figuratively and literally. If your shovel gives you trouble because the ground is hardened, find another tool - the marvelous sword of the Spirit, the Word of God. Receiving texts is an everyday occurrence, but how sweet it is to get one from God. The text says you should call Him, and He sent it three times (Joel 2:32, Acts 2:21, Romans 10:13). Though written long ago and far away, it still applies today. Whether you're up on the roof, on a country road, or even in another country like Mexico, your call will go through. Released in late June, our 13th single of 2016 spoofs two of the biggest ballads of the 70's. 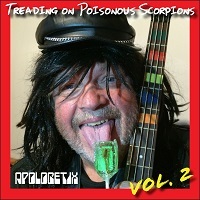 Released in early June, our 12th single of 2016 spoofs rockers from the 70's and 80's. To tell the truth, we've done this song before in a simpler form, but we want to keep on growing as a band, so we looked for a way to expand upon it before it's too late for us to play and sing like that any day we want. It's one of an assortment of songs we've ever done twice, but we've never before reprised a parody to such electrifying effect. If you skimmed from Genesis to Revelation, you might recall Malachi as a man on the corner at the Old Testament's dividing line, that's all. But the important truths he shared were many, too many to list here. For the next 400 years, people were looking for someone who'd fulfill his prophecies. If you're still looking, there must be some misunderstanding. Released in late May, our 11th single of 2016 spoofs classic rock songs from the 60's and 70's. Hey, kids, we know you might not jump up and down over a new Micah song after "Micah No. 5" and "Try Micah," but they're Christmas tunes about Micah 5:2, and Micah's more than a winter's tale. So where do we go from here? We're still looking for a tool that'll teach you the whole book, but we're gonna make you a start with Micah 6:8. Obadiah's oracle ordains the outcome of Esau's age-old rivalry with Jacob, but wait before you start flying through the Word looking for it. You can't do that, because you'll miss it if you don't slow down. Yes, it is the shortest of the Bible's B.C. 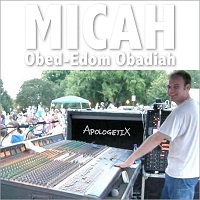 books, but every little thing God said is vital, and we're sure He'd love you to read Obadiah, too. Released in early May, our 10th single of 2016 spoofs two #1 hits of the early 80's. 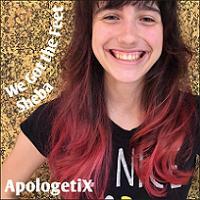 We've already serenaded you with songs about Samson, Gideon, Jephthah, and Ehud. Here's something special for Deborah and Barak, the other big stars of the Book of Judges (chapters number 4 and number 5). The stakes were high, but they sacrificed it all, fighting evil in the brave new world of Canaan and giving Israel something to believe in. It's hard to find stranger folks than God's prophets. He's got a way of using people who speak out with unnerving honesty and won't cave in to peer pressure, though skeptics call their words mere fantasies and delusions. And so it was with the son of Pethuel, keeping the faith of Israel focused on God even with locusts moving in like a storm front. 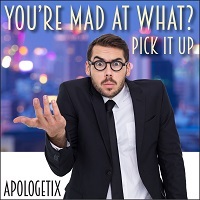 Released in late April, our ninth single of 2016 spoofs the debut hits of two pop/rock groups -- one from the 60's and one from the 90's -- whose lead singers would go on to further fame. Paul's epistle to the Romans is God's love letter to us. It can touch your soul deep within. You might say, "I read it in church," but personal study of Romans has changed many lives, including Augustine, Luther, and the Wesleys. We've got a hole in our souls only Jesus can fill. When He does that, people are gonna talk, but happy times await. Moses led Israel out of Egypt, but Joshua would be the one to lead them into Canaan, because of Moses' sad caper at Meribah. With 40 years of wilderness in their rear view, it seems so strange the Israelites finally entered such a short time after Moses' goodbye. But this was a generation of true believers. Alas, it wouldn't be like that for long. 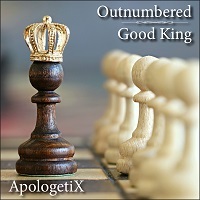 Released in early April, our eighth single of 2016 features songs about the prophets Hosea and Nahum. Although they prophesied about 100 years apart from each other, the songs we spoofed were originally on albums released only three weeks apart from each other. God gave Jonah a simple mandate to preach against Nineveh, but learned scholars know it was Nahum who pronounced Nineveh's final doom, over a century later. Nineveh repented after Jonah but came back for a second helping of sin. It would be the last rebellion on their part; God wouldn't let the vicious cycle of things going on continue. Hosea heads the list of Minor Prophets, but only a fool would say that he had a glamorous profession. And his wife's job was truly dirty work. With his old school values, you wouldn't have pegged him to marry her. But he was following God's orders, trying to be a positive influence on a negative girl, illustrating God's love for His unfaithful people. 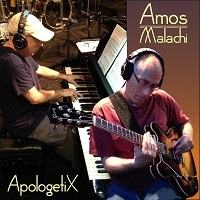 Released in late March, our seventh single of 2016 features songs about two Minor Prophets whose names each begin with "Ha" by spoofing two artists whose names each begin with "F."
Do you feel like we don't have enough songs for the little guy? 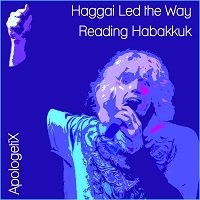 Now you don't have to worry; here's one for Haggai. His book has two chapters, breaking all the rules set by other small books in the Bible (five have one chapter, seven have three). It's a plain shame many haven't heard of him, but we'll show you the way he inspired the Jews in 520 B.C. Habakkuk was so vexed by his nation's moral decay that he prayed for justice. It was closer than he realized, but that didn't guarantee his satisfaction with the outcome. Judah couldn't live in peace when all the Babylonian king's horses and men came to tear down the walls of Jerusalem. But the righteous would live by faith (Habakkuk 2:4). Released in mid-March, our sixth single of 2016 features parodies of two songs from the 70's by artists whose names start with "Co," but that's where their similarities end. For many, the natural highlight of the year is still Christmas, but Christ's death and resurrection are truly more important than HIs birth. Thankfully, Easter isn't like Christmas, where you are so busy running with an endless list of gifts you need to find a sale on that you can't slow down to reflect. Oh, no, that's what Lent is for. After that, we celebrate. The term "school of the prophets" may be pretty obscure for you and me, but years ago it referred to some folks taught by Samuel, Elijah, Elisha, et al. Elisha's students elected to build a bigger meeting place and asked him to come help. During construction, an ax head flew off into the water, and Elisha made it float. But what could he do about poisoned stew? Released in late February, our fifth single of 2016 spoofs rock songs from the late '60's and early 90's. Ever read Zechariah? It's never too late to check out the Old Testament's penultimate prophet. If you push yourself to read the whole Bible, you'll get from here to there eventually. You're bound to be wowed by his messianic and apocalyptic prophecies, which give new meaning to the term "night vision." They're not some sleeping, dreaming fool's fantasy. Poor Doubting Thomas. How would you like to screw up once and go the next 2000 years with that black mark in the eyes of mankind? But Thomas was a much better man than that. After he saw Christ alive, off he went to places like Babylon and India to preach the Gospel, with a faith in Christ so deep he eventually died a martyr. Released in mid-February, our fourth single of 2016, discusses the past and present activity of angels and the future fate of the devil. Ask the average person where the devil is, and odds are five-to-one they'll say "hell." But he's roaming the earth (1 Pet. 5:8; Job 1:7, 2:2). Summer's almost gone, though, and he's waiting for the Son of God to send him into the Lake of Fire, where hell and death will also be sent, when the music's over at the end of the night. Tell all the people. 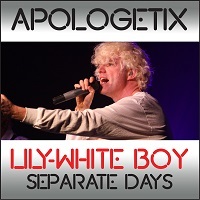 Released in late January, our third single of 2016 spoofs #1 hits from both the 60's and 70's. Too many people miss this: God sent a whale to save Jonah, not scare him. God is somebody who cares about even the disobedient. The Ninevites were so bad Jonah didn't want them to repent, so he tried to run a million miles away. But God forgave both Jonah and the Ninevites, who decided to listen to what the man said in the end. Here we go again: you turn on the TV, and they're saying something stupid about the Bible. Critics of Christianity can get quite nasty with a laughing face. But the cruel war against God's Word has been going on for so long; it didn't start in our time or in the last 100 years. And it won't end till the return of Christ. But that ought to cure their doubts. Released in mid-January, our second single of 2016 features parodies of hits by an A-list group and a B-list group ... literally. 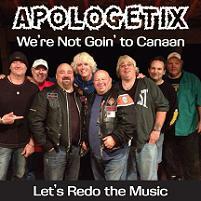 In fact, one group comes right after ApologetiX on the A-list. What a life Joseph had! No wonder they made it a musical: hero takes a fall for something he didn't do, loses everything, appears to crash and burn, but keeps following God and achieves eternal fame. Remember that when things are getting out of hand. With God there's always more than meets the eye. Even in the real world, some dreams come true. The earliest Easter on record was March 22. The latest? April 25. It could have been a late day this year, but it's March 27, so it may snow. But we won't whine, because it's also the band's 24th anniversary, and we like to rock our ugly Easter sweaters. The date varies, but the message stays the same: Jesus rose up, and He'll raise us. It's no secret there are many translations of the Bible, but don't get hung up on that. If you look deeper and deeper, you'll see they contain the same books, chapters, and verses (with rare exceptions). It's not some inaccurate collection of borderline bedtime stories. Comparing various versions, we get a better idea of what the original text meant. You've heard that famous message of love in 1 Corinthians 13 many times since you were a kid. Nevertheless, the lovers of today could learn a lot from it. Sure, love's a mystery, but that precious passage is packed with descriptions of what love is and isn't, so you don't get it wrong. But what are you going to do about it? Show me, don't tell me. When we mention the book of Judges, you might think of Gideon or Samson, but don't just stop there. Jephthah gets two chapters and is also commended in Hebrews 11 for his faith, which helped drive Israel on to victory against the Ammonites. Let's go to Judges 11 and 12 and see what all the fuss was about. Life has its ups and downs. Things may appear wonderful tonight, but awful after midnight. Still, the Bible says the Lord can use adversity to accomplish great things in our lives. It's the way that you use it that determines the outcome. Sometimes the hand of God seems slow to act, but trust in His promises. He can't stand it when we complain. 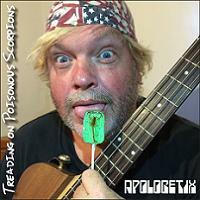 Released in early December, our 22nd single of 2015 features parodies of two classic rock hits, from 1979 and 1983. Ironically, the two bands we spoofed would both reach the pinnacle of their success directly in the middle of those two years; each had their only #1 album in 1981. The Pharisee in Jesus' parable in Luke 18 feels like the first time he ever sinned hasn't happened yet. He doesn't realize his urgent need for grace. His prayers are cold as ice and he's a long, long way from Heaven. We may look good on the outside, but God has inside information. If you lift yourself up, He'll put you back where you belong. Should Christians faithfully observe the Sabbath just the same way Moses commanded the Israelites? Some folks are still feelin' that way. Others believe you can worship anytime - any day you want it. Romans 14 welcomes both with open arms. 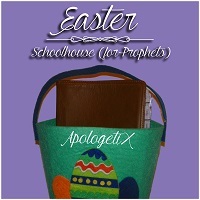 This song discusses reasons for the early church's departure from the Sabbath to Sunday. Released in early November, our 20th single of 2015 spoofs two songs that demonstrate distinctly different aspects of the early 80's. Pardon us for asking, but looking back through the years, do you recall when you dedicated your life to Christ? No matter what condition you were in - cowardly like Gideon or bold like Joshua -- a true encounter with God's real love will turn you around. In baptism, we publicly declare we're starting over again, having been saved by grace through faith. In ancient times, God's mode of telecommunication was to tell a prophet to communicate His messages, but He added some space-age special effects before the fall of Babylon. The writing was on the wall (literally); no amount of wishing could undo it. Invaders came over the border from Media-Persia and that was the end. Note: Media-Persia was located in the area that is now known as Iran. 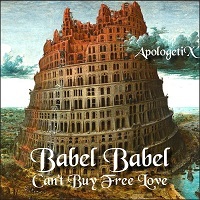 This is a song about ancient Media-Persia, not modern-day Iran. Every now and then, it's nice to read a good love story. Love took its sweet time finding Boaz, but wheels were turning behind the scenes. 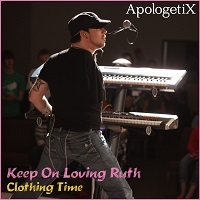 All heaven broke loose when he met Ruth, a girl with a heart of gold, moving to Israel from Moab. They'd both find love in the future. So always be prepared for God - in season and out of season. When Adam and Eve gave into temptation, they had no one else to blame. The forbidden fruit looked delicious, but eating it created a great divide between God and man. Obviously, God wasn't completely pleased with their falling into sin, but it didn't surprise Him, either. In fact, He'd already had the plan of salvation all worked out. Released in early October, our 18th single of 2015 features parodies of two legendary British rock acts that are still touring today. Was Jesus secretly married to Mary Magdalene? No, but He has chosen a bride (Revelation 19 and 21) and has a big wedding planned (Matthew 22 and 25). Although the rebels yell, to get into Christ's wedding you need to be a lover of the Truth and forsake idols. For more info, read the Book that rocked the cradle of civilization. As Psalm 139 explains, you can't run from God anyway, anyhow, anywhere. Nevertheless, some people try to ignore him, and they'll try to ignore you, too, if you go from a being a seeker to a finder. Who are you to tell them what to believe? It's hard when they join together against you, but shouldn't you relay the truth? You'd better, you bet! Released in late-September, our 17th single of 2015 features parodies of two songs that went to #3 on the Billboard pop charts - one in the 70's and one in the 80's. When you come to Christ, friends may say you're off your rocker and make up phantom excuses to avoid hearing you rant and rave about Him. Keep sharing John 3:16 and 17 and don't stand in their way if they're too hip and gotta go. The Christian life isn't built for speed; it's built to last. If they don't believe you now, they may come around later. It sure feels good when others say you're smart. It's a feeling we all like (not that we're fishing for compliments). But some folks let it flow straight to their ego, never thanking the true Source. They holler and shout "there is no God!" But intelligence and wisdom are different things. You can have one without the other, but you can't have either without God. Hedonism's relentless pursuit of pleasure leaves you enslaved to all bad things with your face (and body) buried in the dirt, without you ever finding true satisfaction. You'll feel good for about a minute, but not about yourself. Tired of the same old situation? Time for change? 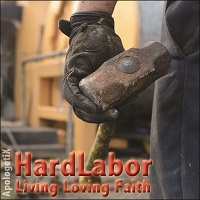 Ask Jesus to help you kick the stuff that's hardening your heart. Most people know Nicodemus from John 3, where Jesus talked about being born again. But if you take that Bible off the mantle, he's also in John 7, defending Jesus to other Pharisees, and John 19, bringing ointment made from herbs for Jesus' burial. Nobody knows for sure, but those verses hint that he may have taken Jesus' words to heart. The Bible gives unvarnished accounts of its heroes. Wanna touch on an example? 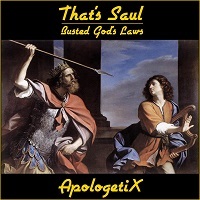 It doesn't hide the bad reputation and dirty deeds of the notorious Saul of Tarsus. But Christ brought the light of day into his dark heart. He made up for his misspent youth, preaching the pure and simple Gospel, and wound up on the hit list of his former (fake) friends. 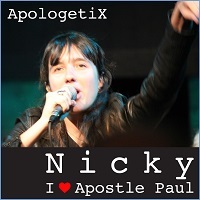 Note: "I Love Apostle Paul" is a brand-new version of the ApologetiX classic, with female vocals. Once you hear it, you'll hate yourself for loving our old version. 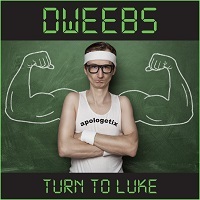 Released in mid-August, our 14th single of 2015 features parodies of two new-wave pop hits from the early 80's. Jesus didn't mention a pot of gold at the rainbow's end, but He did liken the kingdom of heaven to a man who gave everything to buy one precious pearl. You don't have to be a deep-sea diver or head across the sea to find that pearl; it's gathering dust in the Bible on many modern bookshelves. Check Matthew 13, right after chapter 12. Are you good enough for God? Maybe you're desperate to be delivered from your sins, but do you stand a serious chance of getting into Heaven? Is there room at the top for you? 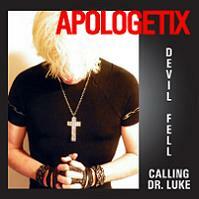 The Bible says all of the human beings since Adam have sinned, except Jesus, but by His stripes we are healed. He chooses us because of His goodness, not ours. Released in early August, our 13th single of 2015 features parodies of a new-wave pop hit from the early 80's and a power ballad from the early 90's. People do a lot of talking about inner peace, but when you look in their eyes, do you see it? Do you know how to make it last so it's forever yours, even when burdens get hung on you and aggravations start digging on you, or in the heat of trouble when unexpected disasters rock you up? There are a million paths to peace, but only one gets you there. Nobody likes to be rebuked, so many of us won't confront others who wind us up. It's a wild world already; we'd rather avoid the static and just get over it rather than bump heads. What if we talked to the person rather than about them? The actual size of our problems might not be as big. Just take our hard-learned advice and read Matthew 18:15. 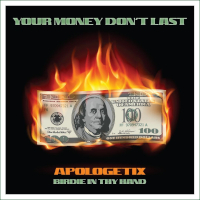 Released in early-July, our 12th single of 2015 features parodies of songs from two hard-rockin' bands that first hit it big in the 1980's and are still touring today. Although Abraham was willing to sacrifice his son, God sent him an angel to prevent that. When Isaac got wind of the change in plans, he was no doubt relieved. But another Son would make the sacrifice no one like you or me or Isaac could. Abraham had said God would provide the lamb, and He did - on Mount Moriah and on Mount Calvary. One day you're on top of the world, the next you're an outsider. One by one, we all face trials. The big issue is how we react when things hit hard. You can suffer amnesia, forgetting who you are in Jesus Christ, or you can bathe yourself in Word of God, remembering that "though the righteous fall seven times, they rise again." 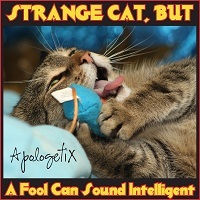 (Proverbs 24:16). Sin is a like a disease. 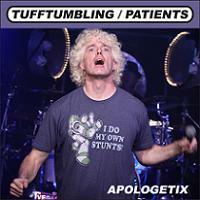 For treatment, we can go to the Great Physician (and get better) or Dr. Feelgood (and wind up in a coma with a DNR). It's so easy to worry what others think about you as you warn them. If the world says you're crazy and beating a dead horse, don't cry. You ain't the first, and even if one in a million gets saved, it's worth it. 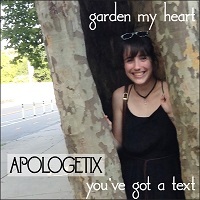 Released in mid-June, our tenth single of 2015 features parodies of two feminine favorites from the 80's. Peter would never forget that day Jesus washed his feet. He wasn't exactly head over heels with the idea. It threw him a curve; he was shocked. But God prepares our feet to bring good news to the nations, and it's no time to take a vacation. If our lips are sealed and we don't get up and go, how will they hear? (Romans 10:14-15). Will you go? Yes or no? 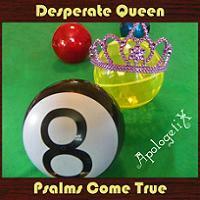 When the Queen of Sheba first heard about Solomon, she thought, "Yeah, yeah, whatever." But after receiving rave reports time after time, she had a change of heart: "What's going on? Maybe he'll know the answers to my questions." Traveling all through the night, she witnessed his wisdom in person at last and realized why he's so unusual. 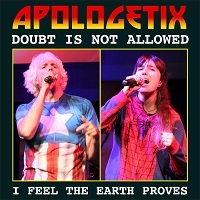 Released in early June, our ninth single of 2015 features parodies of two #1 pop songs from the 70's. When Persia's king needed a queen, the name of the girl he chose was Esther, but shortly after she said "I do," his prime minister began plotting her people's demise. Esther's cousin Mordecai sent an S.O.S., telling her they'd soon be under attack. Because she decided to take a chance and speak up, her story and her people live on and on and on. It's easy to thank the Lord for the nice times, but life isn't just a bowl of cherries, even if you're a believer. The Psalms teach us that - and this: when things don't look rosy and your life's on the rocks, the good Lord loves you and things can turn around quickly. So keep praying and turn on the lamp of God's word and let it light up your heart. 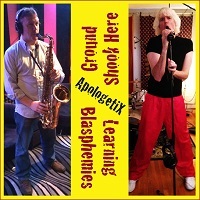 Released in mid-May, our eighth single of 2015 features parodies of songs from both ends of the 80's. In fact, one of them carried over into the beginning of the 90's. Both were by solo artists — male and female. The Bible tells us how it all began, but everybody wants you to believe in the Big Bang and evolution, with the first signs of life emerging from a primordial soup. God said "Let there be light," but they prefer to stay in the dark. They've got their eye on you, so don't say no if you don't want them to get angry. Unless, of course, you prefer to tell the truth. In our world and our times, you love who you love because they love you. But we've still got this thing called the Bible that says love is much more than that. The Lord commands us to love our neighbor as ourselves, but being selfish is bad for you. If you want to be a true disciple, you must even love your enemies — not just the people who love you! 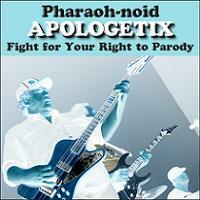 This song recounts the Ten Plagues in order from Pharaoh's perspective, as he shrugs off each warning God sends. In his megalomania, Pharaoh thought he was master of the Israelites, but in reality, he was a pawn. Even his wizards couldn't ward off the plagues, and eventually the hand of doom had struck down all of the firstborn of Egypt. 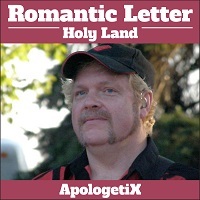 Welcome to the Christian parody biz. It's time to get illuminated on this new style, so check it out. Say hello to all your nasty critics. 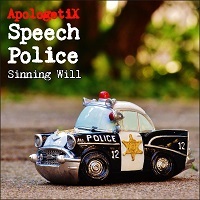 It's a sure shot you'll face triple trouble -- from anti-rock preachers, anti-Christian secularists, and anti-parody snobs who think rhyming with the original is just stealing somebody's song. Something's got to give. Will it be you? 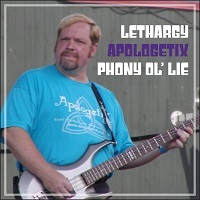 Released in mid-April, our sixth single of 2015 features parodies of two rock acts who had hits in the 70's and the 80's. Take a peek at a Bible commentary and you'll see that scholars aren't sure who wrote the Epistle to the Hebrews. The letter is silent about that but harbors no secrets about Jesus' identity, demonstrating His superiority to the angels, Moses, and levitical priests. Consequently, it stresses repeatedly that today's the day to ask Him into our hearts. King David was a straight shooter, and not just with a slingshot - read his Psalms! If you needed somebody as a role model for prayer, you ought to consider David before moving on to anybody besides Jesus. If you can't get enough of David, the Bible's the place to go. He's mentioned more times than anybody besides Jesus. How about that? Released in early-April, our fifth single of 2015 features parodies of two bands from the sixties that continue to impact millions today. If you have a relationship that's been shattered by an argument, don't miss your opportunity to reconcile before you're out of time (Eph. 4:26-27). Instead of waiting on a friend to make the first move, make sure you ain't too proud to beg for forgiveness, even if you have mixed emotions (Matt. 5:23-26). God will come to your emotional rescue. We all fight addictions or temptations. We'd like to think we can work it out, but you can't do that without help. When people try to go cold turkey without Jesus, even if they seem to be getting better, they still have a God-shaped hole they'll try to fill with something else. 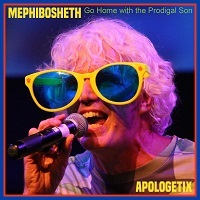 So the girl in this song says, "I don't want to spoil the party, but I'll follow the Son." 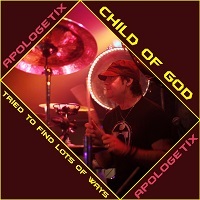 Released in late February, our fourth single of 2015 features parodies of a classic rocker from the late 70's and a new-wave hit from the early 80's. One of the men crucified with Christ asked Jesus to remember him when He came into His kingdom. That criminal realized he had no control over his fate and nothing to lose. But eternal life was right there for the taking. Jesus told the criminal that if he wanted to go back with Him, He'd take him home that very night. What was it like when the resurrected Christ first appeared to His disciples in the midst of a locked room? Were his friends shocked? The moment was definitely electric! To make certain they knew He wasn't some ghost or replica, Jesus showed them the scars from His crucifixion. Then they felt a new wave of relief and were overjoyed. Released in early-February, our third single of 2015 features parodies of a pop smash from the 90’s and a classic rock standard from the 60’s. Over 500 different people would see Jesus alive in the 40 days after His resurrection — enough to fill a small arena — but Mary Magdalene was #1 on the list. 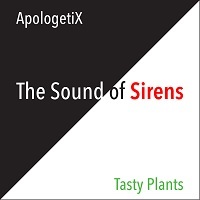 This song relates that encounter and the skeptical reaction of the Apostles. But once Peter and John saw the empty grave, they couldn't dance around the facts. 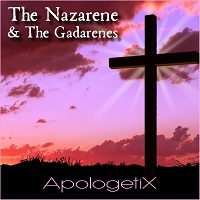 This song describes the experience of Jesus and His disciples in Gethsemane. Peter, James, and John fell asleep in their Master’s hour of need. Nevertheless, Christ demonstrated His boldest love, agreeing to face the cross alone. Meanwhile, Judas and the religious authorities had marshaled the troops who would take Jesus away. Released in late-January, our second single of 2015 features parodies of a rock classic from the 70’s and a country hit from the 90’s that was originally a pop hit in the 70’s. Although they shared a borderline and some common ancestry, Jews didn’t associate with Samaritans. But Jesus was about to rock their world with brand-new manners. Not only did He make a Samaritan man the hero in one of His parables, He even started a conversation with a Samaritan woman ... who had been married five times! Rumors of the devil’s demise are greatly exaggerated; evidence of his activity is everywhere. But as long as you follow the Bible and don’t go your own way, you can break the chains he’s used to hold you and hypnotize you. Don’t believe his little lies; the dreams he promises are just a mirage. Resist the devil, and he will flee from you. Don’t stop! 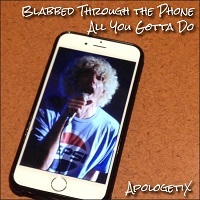 Released in mid-January, our first single of 2015 features parodies of two '80s songs you can still hear on classic-rock radio today. When an angry mob stoned Stephen, they laid their coats down at the feet of Saul, who welcomed them with open arms. Once the crowd went their separate ways, Saul began persecuting Christians. Still, the ride to Damascus changed him into the Apostle Paul, and -- after the fall of the scales that had blinded his eyes -- he preached Jesus faithfully. In Deuteronomy 18:15, Moses said, "The Lord your God will raise up for you a prophet like me from among you, from your fellow Israelites. You must listen to him." But verse 34:10 says, "Since then, no prophet has risen in Israel like Moses," even though Joshua had already become Israel's next leader. If not Joshua, then who? Only time would tell. 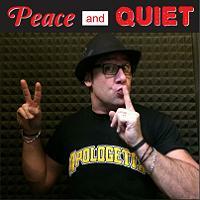 Released in late-December, our final single of 2014 closes out the year with a little "Peace and Quiet." Or does it? The man's son was in critical condition, foaming at the mouth, gnashing his teeth, and throwing himself to the ground. Modern-day skeptics might think it was a matter of mental health, but his father knew he wasn't crazy; it was demon possession. Enter Jesus. Exit demon. God is referred to as the "God of Peace" five times in the New Testament, but that doesn't mean He'll take it easy on the devil. Romans 16:20 says He'll soon take the devil and crush him under your feet. In the meantime, He won't let Satan take you beyond your limits. Released in mid-December, our latest single features parodies of a pop classic from the 60's and a Southern rock staple from the 80's. When it rains, it pours. Nevertheless, God has special purposes when you face forces beyond your control. This isn't about Noah, but just as God delivered him through the storm, He'll deliver you back where you belong. Don't get so caught up in your circumstances that you forget the rainbow at the end. If you're concerned about the salvation of your loved ones in this deep and dark December, you're not alone. Jesus loves them more than you will know. He demonstrates that by putting believers like us in those people's lives to pray for them and to model His love. 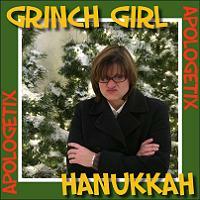 Released at the end of November 2014, our latest single features two new parodies for the holiday season. While some Christians have a cup of Christmas cheer that runneth over, others see it as half empty, citing commercialism and supposed pagan origins as reasons not to celebrate. The weather outside is frightful, so the last thing we need is a wet blanket. Let's bring joy to the world and focus on the Reason for the season. This is a parody of a song associated with Summer about a celebration associated with winter. Here's another paradox: Hanukkah is a Jewish holiday, but it's found in the New Testament, not the Old. So where did it come from? Listen and learn! Released in late-October 2014, our newest single features parodies of two big hits from the 60's, although one has a 90's twist. Some of the loudest atheists are people who grew up in churchgoing families but took a detour somewhere down the road. They traded the picket fence for a picket sign, and a team of wild horses couldn't drag them back. Of course, going to church doesn't make you a committed Christian any more than going to a garage makes you a sports car. Many people who use the phrase "the truth will set you free" don't know the source (Jesus) or the sentence it came from (John 8:32): "Then you will know the truth, and the truth will set you free." You need to know the truth to be set free. As Jesus explained: "I am the way and the truth and the life. No one comes to the Father except through me" (John 14:6). 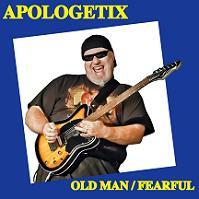 Released in early-October 2014, our latest single features parodies of two big groups from the 60's and 70's -- each with a frontman named Peter, just like the Apostles. In Exodus 3:14, God reveals His name to Moses. In John 8:58, Jesus uses that same name to refer to Himself. Coincidence? His audience didn't think so; they wanted to stone Him for blasphemy! But earlier in that same chapter, Jesus had plainly said "if you do not believe that I am he, you will indeed die in your sins" (John 8:24). It's one of the great paradoxes of the faith: the more we realize our need for Christ, the stronger we get. 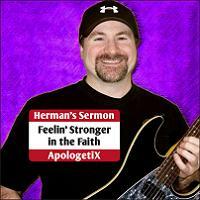 "For when I am weak, then I am strong" (2 Corinthians 12:10). "Though outwardly we are wasting away, yet inwardly we are being renewed day by day" (2 Corinthians 4:16). 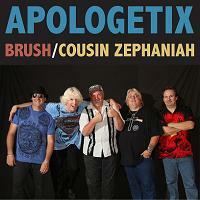 Released in late-September 2014, our latest single features parodies of two acts who had their first hits in the 70's, got bigger in the 80's, and were still charting into the early 1990's. 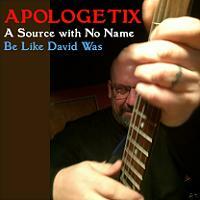 This song's about substitutionary atonement -- how God sent Jesus to die in our place. If you're a person who wants to live forever, and you want to break free from your sins, come to Christ with a repentant heart, saying "Save me." You'll get the royal treatment from the King of Kings. Cosmetic surgery is extremely popular. Some like it so much they get addicted, using it to fix every kind of perceived imperfection. But this song is about a man with more than a superficial desire to improve his appearance -- Naaman the leper, healed by Elisha the prophet in 2 Kings 5. 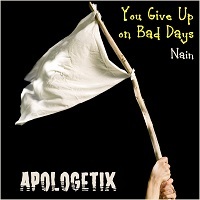 Released in mid-September 2014, our latest single features parodies of two famous groups that were among our biggest influences ... and just about everybody else's. The Bible tells us "Each of you should use whatever gift you have received to serve others, as faithful stewards of God's grace in its various forms" (I Peter 4:10). 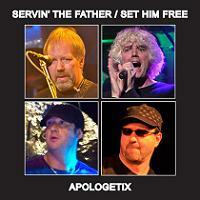 Of course, when we serve our brothers, we're ultimately servin' the Father. The Apostle Paul writes a letter to his old friend Philemon about a returning runaway slave named Onesimus who had become a Christian as a result of Paul's ministry. The aged apostle urges Philemon to accept Onesimus back "no longer as a slave, but better than a slave, as a dear brother." Released in late-August 2014, our latest single features newly recorded versions of two enormously popular songs from our early days. Fans have been begging us to redo them for years, and we've finally done it! Here's something to always REMember as you stand in the place where you live: "But in your hearts revere Christ as Lord. Always be prepared to give an answer to everyone who asks you to give the reason for the hope that you have. But do this with gentleness and respect ..." (1 Peter 3:15). Even if you feel superunknown to the rest of the word, God knows and cares about you. Jesus says, "Come to me, all you who are weary and burdened, and I will give you rest." (Matthew 11:28). "For God did not send his Son into the world to condemn the world, but to save the world through him." (John 3:17). Released in mid-August 2014, One in Three features three parodies whose titles all start with the word "One." Sounds like a Jeopardy category, doesn't it? 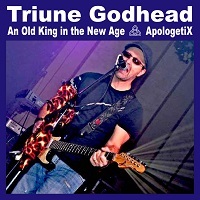 Of course, One in Three also alludes to the Trinity: one God in three Persons. This parody about pulling down strongholds starts with Joshua but continues on to modern times. Whether it's in Jericho or Berlin, it's just one more wall for God to knock down. Set during the Last Supper, in this parody Jesus predicts that He will be betrayed by one of His apostles, denied by another, and abandoned by all. 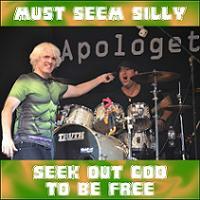 The original song we spoofed here asked the question, "What if God was one of us?" Well, He was! Some people just don't want to accept that fact or accept Him. 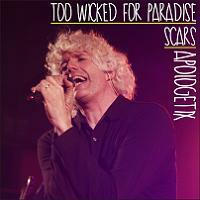 Released in early-August 2014, this single features parodies of two killer B's (Beatles and Benatar). 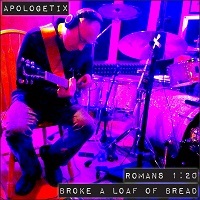 It's a tribute to the little guys, with songs that reference one of the smallest books in the Bible and the classic biblical underdog story. Jude didn't have nearly as much to say as his half-brother, Jesus, or even his brother James. 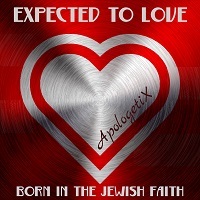 Jude's epistle is only one chapter long, making it one of the shortest books of the Bible. But we should still take his words seriously and "contend for the faith that was once for all entrusted to God's holy people" (Jude 1:3). We all know the story of David and Goliath, so we ought to apply the principles it teaches when the enemy sends giants against us in our own lives. 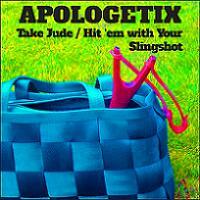 Life is a battlefield, but we belong to the Lord, so hit 'em with your slingshot! 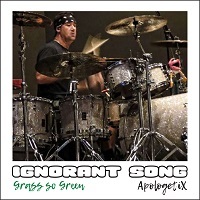 Released in mid-July 2014, this single is bold and brassy -- parodies of two #2 hits from the 60's and 70's, featuring our multi-talented sound man Greg Spack on guitar and bass, along with J., Jimmy, Chris, Hubie and a three-piece horn section. Growing old can give anybody the blues. But it ain't so bad when you have eternal life and you know this truth: "Though outwardly we are wasting away, yet inwardly we are being renewed day by day" (2 Cor. 4:16). 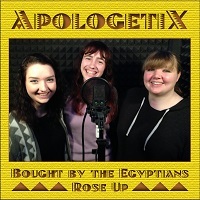 Released in early July 2014, this single is our first to feature all-female lead vocals on both parodies, sung by Elaine Heitzer and Keely Singer, two ladies who serve on the New Community Church worship team with ApologetiX lead singer J. Jackson. Isaiah prophesied that the Messiah would have "no beauty or majesty to attract us to him," but other things should have made His identity obvious. The Samaritan woman in John 4 recounts her story of sharing a drink with a Man unlike any other she'd ever met. 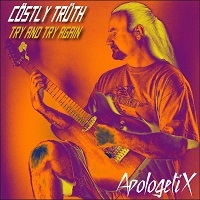 Released in late June 2014, this single is a family affair, with parodies of both sister (Twisted Sister) and brothers (Doobie Brothers). Moses confronts the Israelites after they refuse to believe Joshua and Caleb and enter the Promised Land in Numbers 13:1-14:45. Romans 12:2 says we should be transformed by the renewing of our minds. 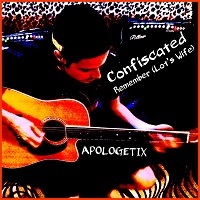 Here's a song about renewing the music of our minds. 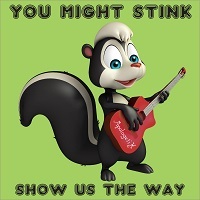 Released in early June 2014, this single features parodies of two album-rock staples from the late-70's and early-80's that you can still hear any day on FM radio. The prophet Ezekiel described numerous times when the Spirit of the Lord lifted him up and took him places in visions of God. 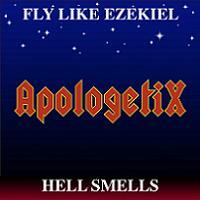 Wouldn't you like to fly like Ezekiel? Don't believe the hype; Hell isn't the kind of place anybody would want to be -- not even the devil. The title of this song is an understatement. 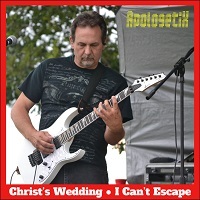 Released in late May 2014, this single features parodies of two classic #1 hits -- one from the 70's and one from the 80's. There's no way to dance around the fact that both of these tunes will get people up on their feet. Everybody loves good news. This news is so good it can make a lame man walk and a religious man dance. A sick man at the pool of Bethesda learns about walking with Jesus ... both literally and figuratively. 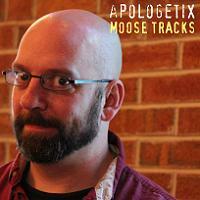 Released in early May 2014, Moose Tracks features the return of former ApologetiX drummer Bill "Moose" Rieger ... on lead guitar! Don't worry; Tom Tincha is still our official lead guitarist, but he graciously let Bill take over for the three songs on this EP. Contrasts the priesthood of Aaron with that of Jesus, a high priest after the order of Melchizedek. The Apostle Paul confronts the threat of legalism in his letter to the Galatians. An encouraging message for Christians who fear they've failed God once (or many times) too often. 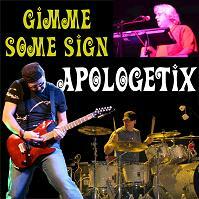 Released in late April 2014, Gimme Some Sign features parodies of three classic rock songs from the late sixties. The Pharisees demand a sign that Jesus was sent by God. Weren't His previous miracles enough? The Apostle Paul warns the church in Corinth not to eat the Lord's Supper in an unworthy manner. The disciples wait for and receive "another Helper" whom Jesus had promised them -- the Holy Spirit. 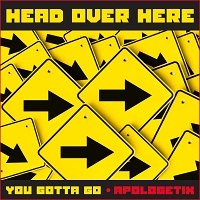 Released in mid-April 2014, this single includes the first ApologetiX song ever to feature only female vocals -- a dose of ApologetiX: The Next Generation, with J. 's oldest daughter, Janna, singing and Bill "Moose" Rieger's son, Jake, playing bass. 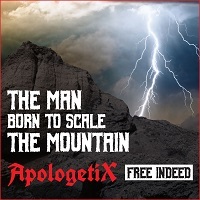 The other tune is a dose of classic southern rock with a message that should minister to pastors, elders and anybody else who is active in their local church. Don't be fooled by the title; it's nothing scandalous. 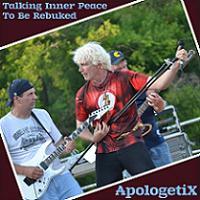 This parody portrays the pastoral pitfalls of non-commital Christians. 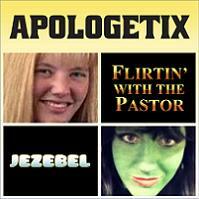 Yes, we've talked about Jezebel before on "None Too Ladylike." But this song comes straight from the sorceress's mouth. 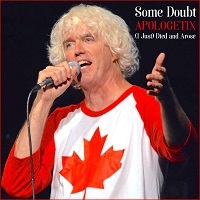 Released in mid-March 2014, this single features parodies of two well-known artists from the 70's and 80's whom we've never spoofed before, even though both are in the Rock and Roll Hall of Fame. Jesus warned his disciples: "Be on your guard against the yeast of the Pharisees and Sadducees." (Matthew 16:6). 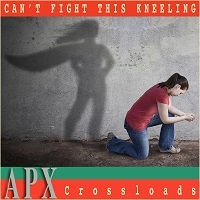 This song puts that message in a modern-day perspective. Expounds on the theme of 1 Corinthians 9:24-25, where the Apostle Paul exhorts believers to run the race of life in such a way as to win the prize -- a crown that will last forever. 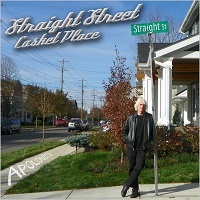 This single features two heavy-hitting parodies from the 70's and 80's. Describes the devil's battle plan and his fall to earth (Revelation 12:7-12). Also explains that the Bible says his servants can disguise themselves as angels of light (2 Corinthians 11:14). The beloved physician discusses his two best-known literary works: the Gospel According to Luke and the Acts of the Apostles. 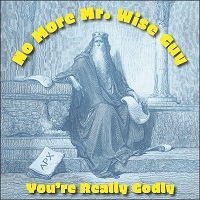 This single features two humorous parodies about the Old Testament story of Job. Oh, you didn't know Job could be funny? Introduces Job, who endured severe trials and then had to deal with friends who claimed his suffering was a result of his own sin. 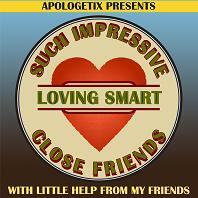 Continues the story with an amusing dialogue between Job and his so-called friends. 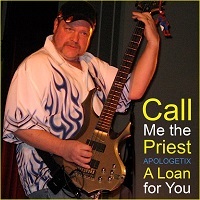 This single features two parodies about Old Testament people, one well known and one not so well known. 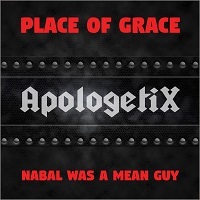 We've released other songs about Samson, but this one fills in some of the missing pieces in the saga, as Samson shares stories of three feats of strength he performed after he met the lion but before he met Delilah. The prophet Zephaniah wrote one of the least-quoted books of the Bible. So, who was he, anyway? How about a descendent of King Hezekiah and a cousin to King Josiah? This song will tell you more. 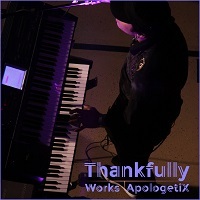 ApologetiX lead singer and lyricist J. Jackson wrote parodies of three classic sixties soul songs for this special EP, recorded live 10/6/13, with the New Community Church Worship Team, including a 10-piece band with a full brass section. 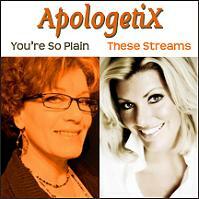 J. shares lead vocal duties with legendary soul singer Sputzy Sparacino on this project. 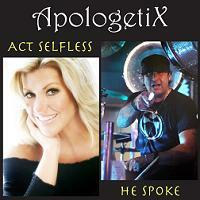 The downloads are free with your donation of any amount to the ministry of ApologetiX. 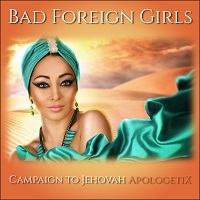 Once you make a donation, we'll email you the link for the MP3 files and cover art. 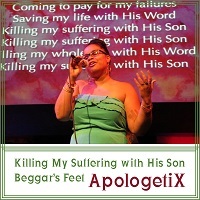 Donations are not tax-deductible but help keep this ministry going. 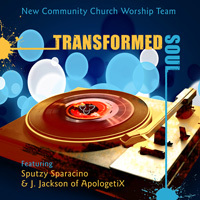 ApologetiX lead singer and lyricist J. Jackson is also a worship leader at New Community Church in Wexford PA, the same venue where we recorded Soundproof, 20:20 Vision, and 20:20 Video. The church has a great worship team with many talented vocalists and instrumentalists, some of whom appeared on our 20:20 projects, including music director Greg Macaluso, who previously was Wayne Newton's music director in Las Vegas and Branson for many years. On August 25, 2013, the worship team performed a special concert with the choir and a 10-piece band, including a full brass section. J. sang lead on several songs, including two new Chicago parodies he wrote especially for the concert. 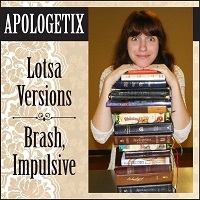 We recorded those parodies, and the downloads are free with your donation of any amount to the ministry of ApologetiX. 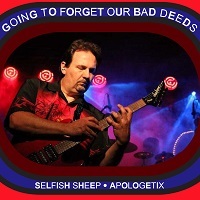 Tom Milnes is the "Joe Walsh of ApologetiX," an incredibly funny guitar whiz who had a successful solo career long before joining us. 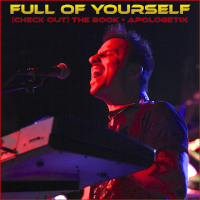 You've heard Tom's golden voice doing back-up vocals on our CDs, but he's also a dynamic songwriter, with lyrics full of heart, humility and humor. 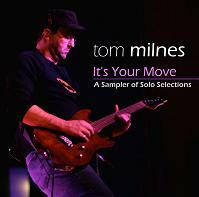 As big fans of his solo work, we're excited to present 15 favorites in a special download collection. 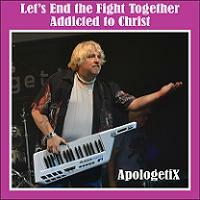 It's free with your donation of any amount to our ministry. That's Tom's gift to us and our gift to you. Includes these songs: The Corner, Shine Young One, Shut Up, Side of the Road, Evening, Forgive, Organ Donor Blues, Corner'Yar, Shed My Skin, Come and Go, When I Was Your Age, Turn Around, Sunday Morning Blues, Patience and Experience, and Your Move. 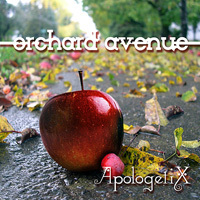 Released in July 2012, our Orchard Avenue downloads are not available on CD. 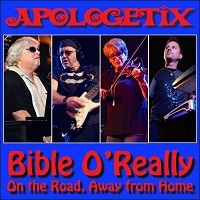 To get these FOUR brand-new recordings, just make a donation of any amount to the ministry of ApologetiX, and we'll email you the link for the MP3 files and lyrics.